Kim Kardashian's says she's doing her homework to become a lawyer, and it's a daily grind that's turned her family life upside down -- but she insists haters won't discourage her from achieving her dream. 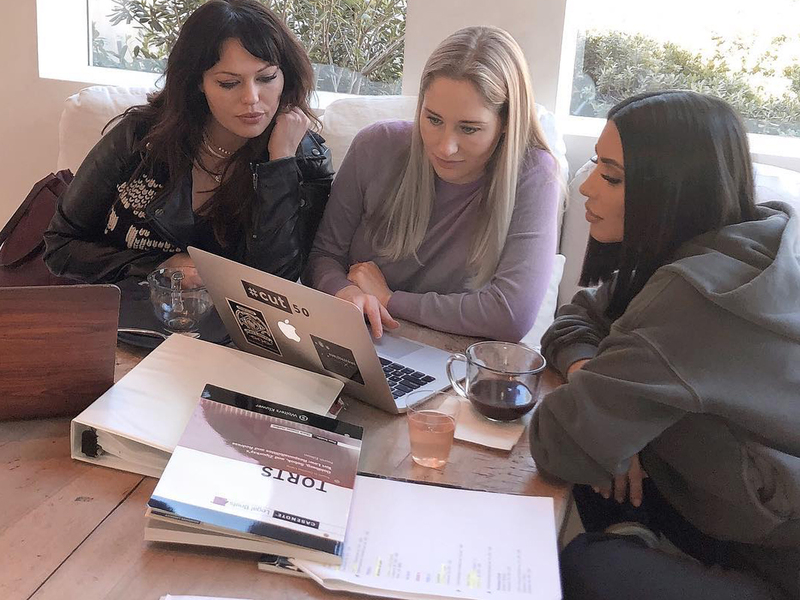 Kim shared a photo of herself hitting the books with attorneys Jessica Jackson and Erin Haney, studying for what she calls California's baby bar exam -- a requirement for anyone studying law the way she is ... as an apprentice with Jackson and Haney's firm. She says, "For the next 4 years, a minimum of 18 hours a week is required, I will take written and multiple choice tests monthly." Kim's approaching the end of her first year, and says she's hitting the books hard right now to prep for a Torts essay on negligence due this week. As we reported, Kim plans to take the bar exam by 2022. She's clearly heard the critics who claim she can only do this because of her privilege and money. She fired back, "I want people to understand that there is nothing that should limit your pursuit of your dreams, and the accomplishment of new goals. You can create your own lanes, just as I am." She adds, however, it ain't easy -- saying she studies all weekend and at nights after working all day and putting her kids to bed. She says she's so committed to achieving her dream, she changed her number last year to disconnect and focus. Kim's own lawyer, Shawn Holley, says she's got the right stuff to make it happen .... and Kim says pep talks from the people in her corner keep her going when she feels overwhelmed.